Northwestern Oklahoma State University is a public regional university that has received national acclaim for its combination of high quality academic program and affordability. While Northwestern primarily serves the vast geographical area of northwest Oklahoma and the Panhandle, its students come from more than 40 states and 20 countries. The main campus is located in Alva, a city of approximately 5,000 residents in northwest Oklahoma. Alva is located 14 miles south of the Kansas border, approximately 115 miles northwest of Oklahoma City, and 100 miles southwest of Wichita, Kansas. The community is fully engaged with the University and even dedicates sales tax money to fund scholarships. Students can choose from more than 40 areas of study to earn their Bachelor of Arts or Bachelor of Science degrees. Northwestern offers master's degree programs in education, counseling psychology, and American Studies, and a doctoral program in nursing practice. Students enjoy a vibrant on-campus college experience by living in university housing, dining in the cafeteria or Student Center Snack Bar, participating in Greek life or campus organizations, attending home athletic contests, or attending numerous other campus events. Northwestern also operates additional locations in northwest Oklahoma’s two largest cities – Enid and Woodward. Northwestern -Enid assists a diverse population, including adult learners, achieve their career and educational goals by providing local, affordable access to higher education by offering upper-level courses leading to an undergraduate or graduate degree. Many students take advantage of the Bridge Program between Northwestern and Northern Oklahoma College, a local community college, and make a seamless transition to Northwestern for completion of their four-year degree. Northwestern -Woodward provides convenient access to higher education opportunities to a diverse population, including non-traditional students, to assist them in meeting education and career goals in a supportive environment. 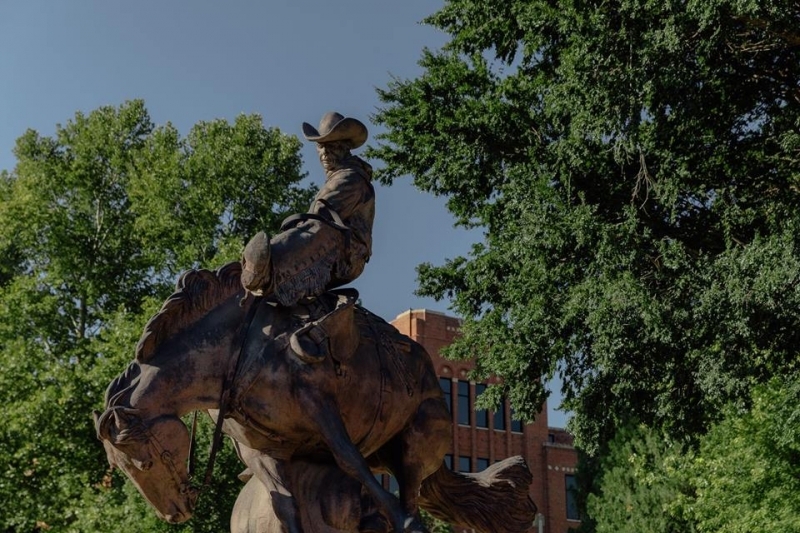 Students attending classes at Northwestern-Woodward are able to take the same types of undergraduate courses that are available at Northwestern's main campus in Alva.